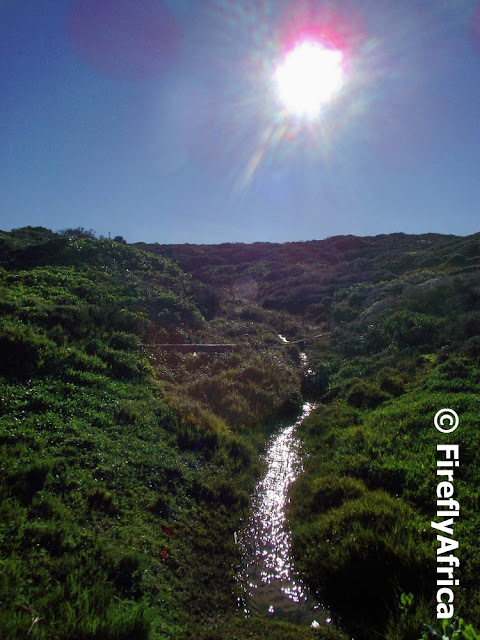 The area around Schoenmakerskop and the Sacramento Trail has a number of fresh water springs seeping out the surrounding countryside and flowing down towards the sea. 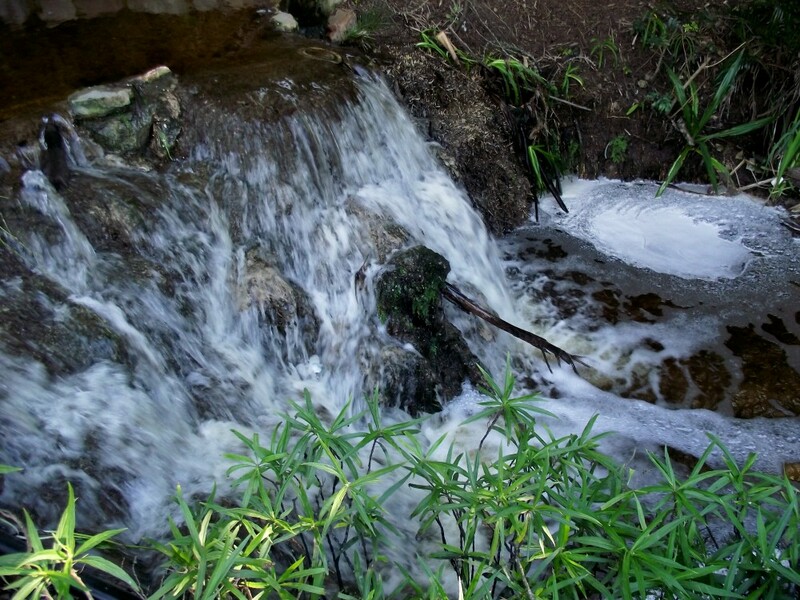 With all the rain we've had these past couple of months some of the little streams are flowing nice and strong. This specific one can be found close to the Sacramento monument a few hundred meters down the trail. Whenever we have excessive rain in Port Elizabeth the 3rd Avenue Dip is the first road that gets closed. 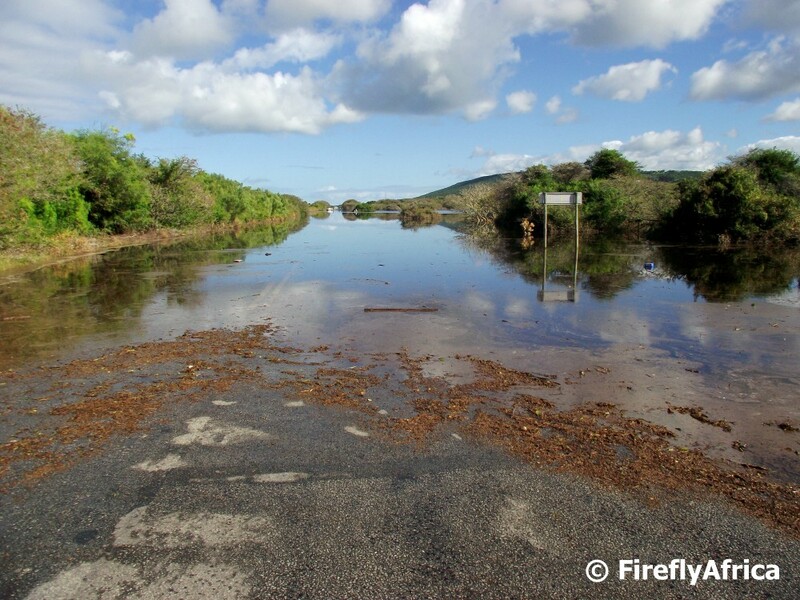 When Port Elizabeth has manor flooding, like we've had twice in the last three weeks, one of the roads that get the worst effected is the Seaview Road at the Deer Park turnoff. There is no river that runs through there, but the runoff from the surrounding hills dam up at the bottom and over the last 6 years have caused major flooding on at least two occasions. On the road itself the water is apparently 1,6 meters at its deepest point while a restaurant and wedding venue about a hundred meters away is up to its upstairs windows under water. 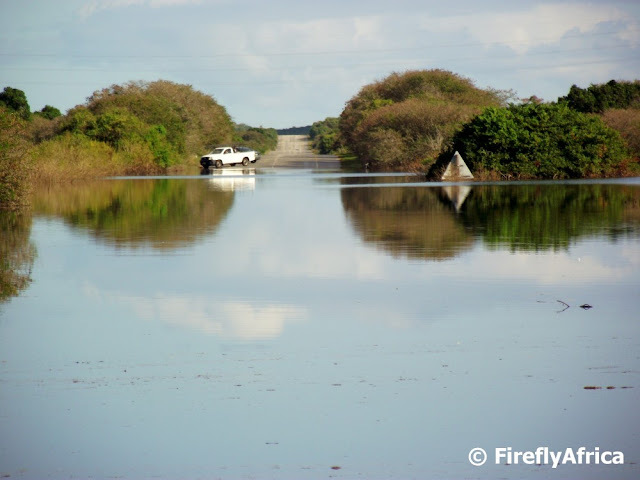 I took a drive out on Sunday morning and this is the sea of water that greeted me. Today's post follows on yesterday's Takeaway in the township post. 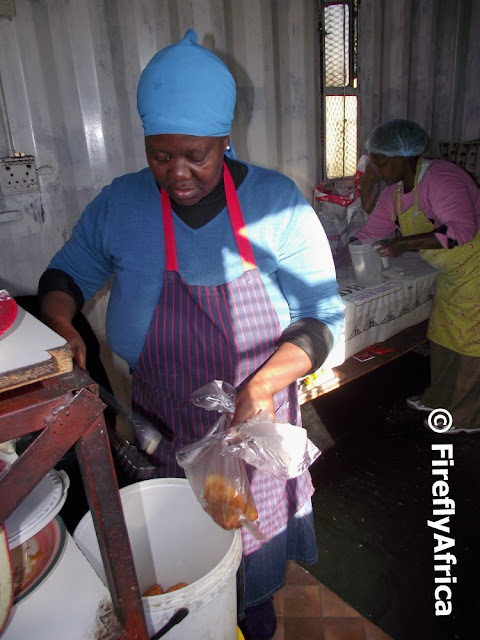 Here one of the mamas who run the shop is busy putting the fat cakes into a plastic bag for us. Caroline commented on the previous post about the grille and that it shows something about the area where the take away is in. The grille does form part of the counter but the side gate, even though they can lock it if they choose, is always open. After asking for permission to take some pictures I entered through it to take the picture of the ladies working. It does act as security at night in case somebody breaks in through the door. 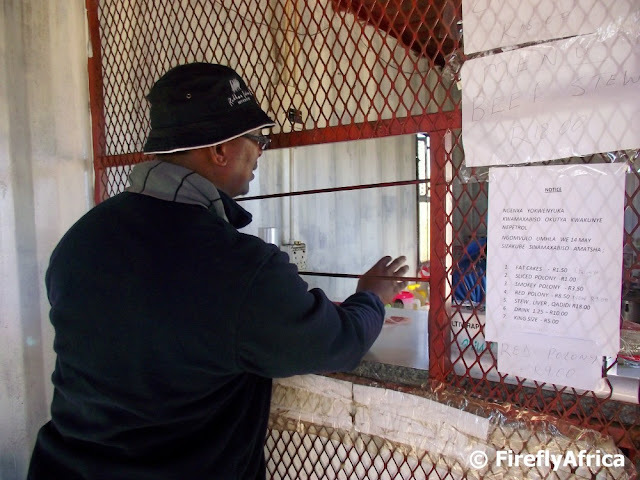 Over the last two weeks I have ventured into the townships with one of my colleagues for lunch on two occasions. Mr X knows the townships like the back of his hand and some of the places we stopped at I don't think I will every find again. The first time we got amagwinya (vetkoek or fatcake which is a ball of dough deep fried in oil) with sliced polony at one of the informal takeaways doing business from a shipping container. A vetkoek costs R1-50 while the slice of polony is R1 so you can just about stuff yourself with three of those for R7-50. For the international readers that is about $1 or just more than half an English pound. 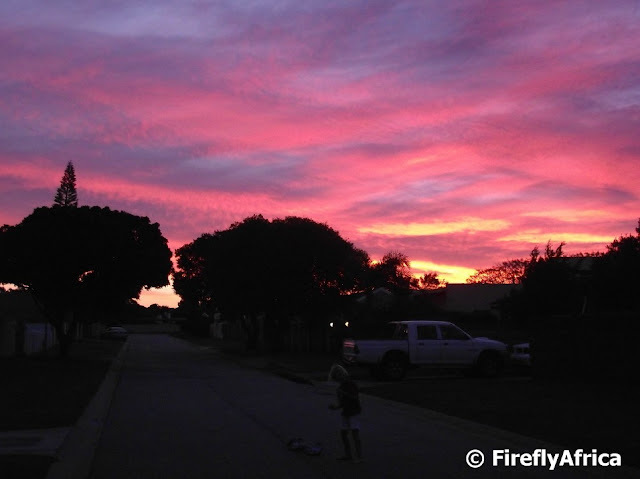 Over the last week or so we've had a number of stunning sunsets here in Port Elizabeth. Unfortunately I was just never in a position to get a photo, but that was until last night. I spotted the sky changing colour through the lounge window, grabbed my camera and ran out into the street. And presto, here it is straight out the camera with no adjustments made. I was very disappointed the day I saw that the municipality started to allow officials to use Market Square as a parking lot. Tourists wanting to have a look around have to dodge cars and when you want to take a nice picture there is always a vehicle in the way. Plus I don't think the paving put down on Market Square was done with a view that it would be come a parking lot so I'm sure at some stage in the very near future we will see some serious damage being done to it. I just thought I wanted to get that off my chest. 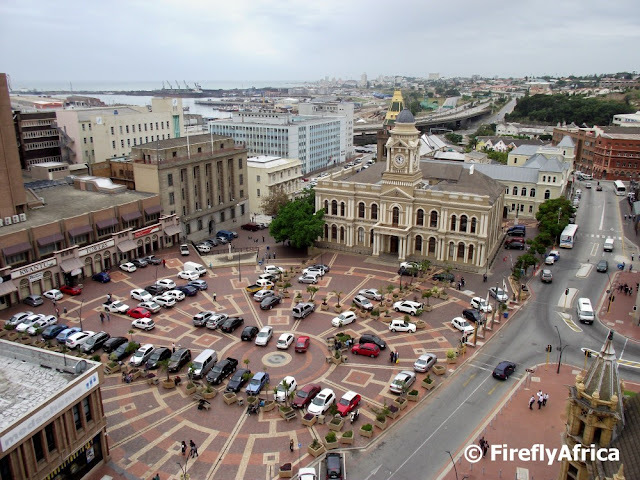 The picture of the Port Elizabeth City Hall and Market Square was taken from the top of the Sky Deck on one of the adjacent buildings. 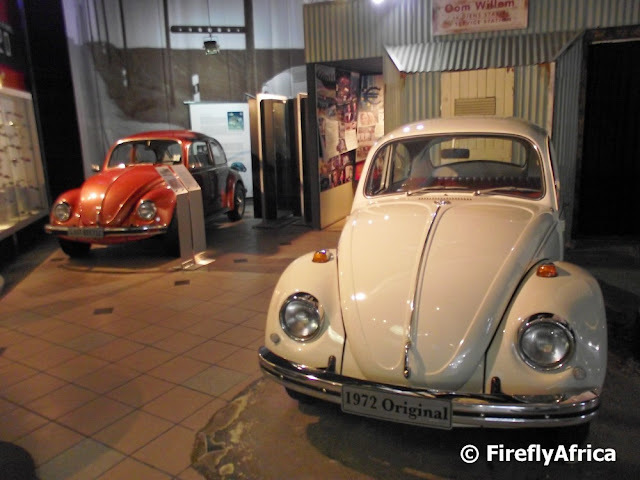 The VW AutoPavilion in Uitenhage has a very impressive collection of vehicles and memorabilia connected to Volkswagen and every boy (young or old) who is interested in cars should visit the museum at least once. Part of the collection are a number of Beetles. 288 353 Beetles were manufactured at the Uitenhage plant between 1951 and 1979 with the rusty red coloured one on the left being the very last to come off the production line. It has only 200 kilometers on the clock. In 2006 it was being transported back from an exhibit in Cape Town when the transport truck was involved in an accident and a number of the cars on it, among them the last Beetle, was badly damaged. The car has since been restored to its original state. 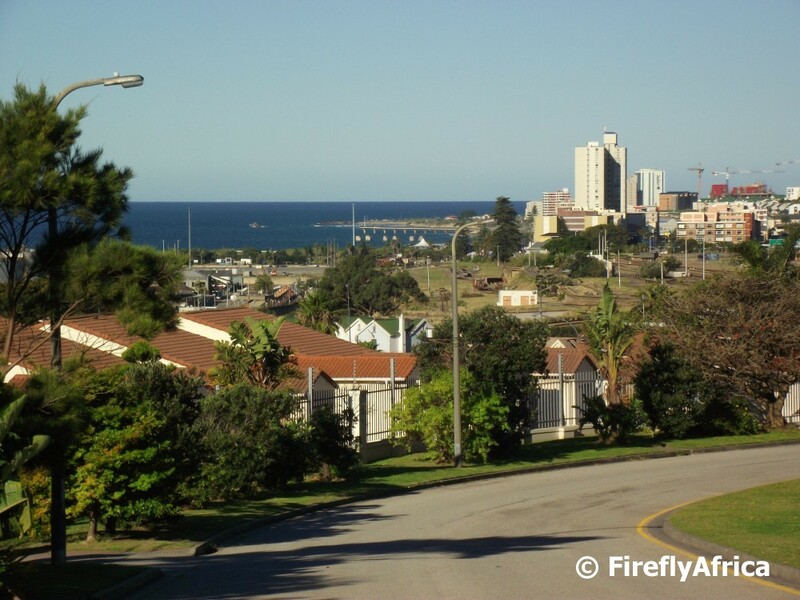 One of the first projects done by the Mandela Bay Development Agency (MBDA) was the upgrade of Govan Mbeki Road (Main Street) and surrounds between Russel Road and the City Hall. Down one of the side roads you will this little enclosed structure (one of about two or three in the area) with a sticker of a man having a relieving himself. Yes, it is, as they referred to it, a pissoir. The reason for these toilets to be put up were to try and stop people from just doing their thing down the side roads against the buildings. 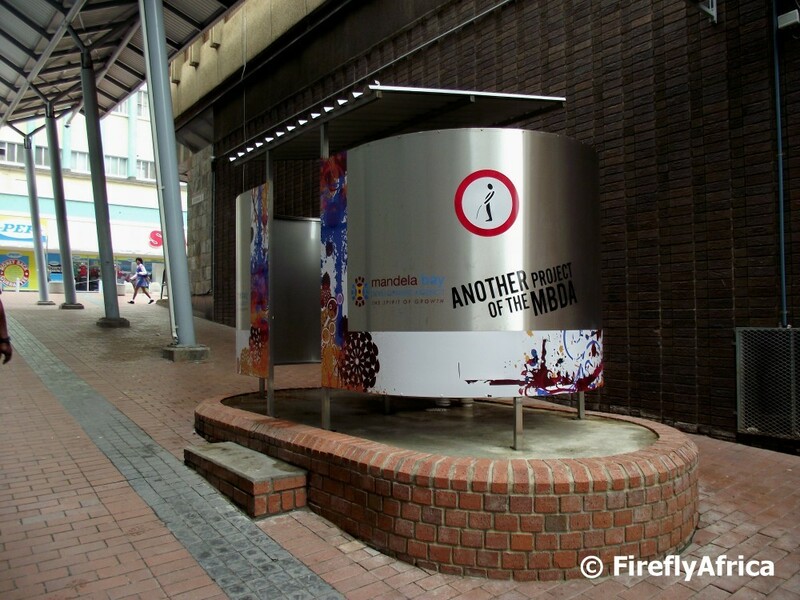 So next time you're passing through an alleyway (yeh right) in downtown PE and see a guy drawing a wet line against a building, just tell him, "For goodness sake man, go and use the pissoir." Update: Thanks to Diana of Elephants Eye for pointing out that its pissoir and not pissoit as I had it before. No wonder I couldn't find the word on Google. The definition of pissoir according to Wikipedia is: "A French invention common in Europe that allows for urination in public without the need for a bathroom while also avoiding the possibility of public urination onto buildings, sidewalks, or streets." Going on a game drive at Lalibela Game Reserve outside Port Elizabeth recently we were lucky to have quite a few very good sightings of rhino, giraffe and lion on the afternoon game drive. 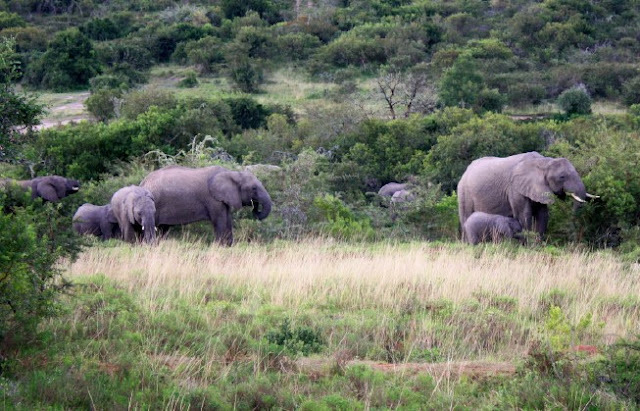 Unfortunately even though the ranger knew where the elephants were we just couldn't catch sight of them. As the sun disappeared in the west followed by the full moon rising in the east the elephants suddenly appeared out of the thick valley they were feeding. The light was just about gone but sitting there in silence I could but help snap a pic to share with the PEDP readers. I took a couple of my colleagues on a walk around the South End Museum Heritage Trail with stops at some of the main heritage sites along the trail. After looking around the St Peter's Church ruins this was the view as we were heading down the street towards Walmer Boulevard. I kinda wish I lived this close to the beachfront. 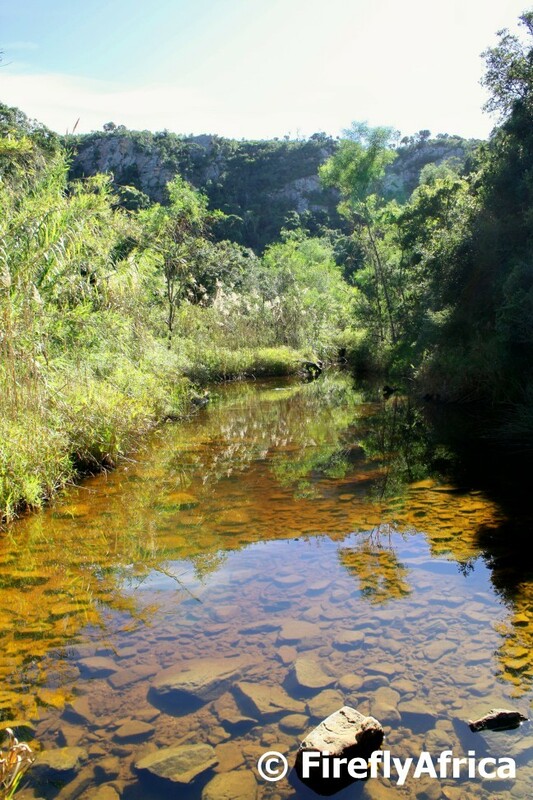 One of the most prominent mountains you will find fairly close to Port Elizabeth is the Cockscomb Mountain found in the Baviaanskloof Wilderness area about a hundred kilometers or so to the west of the city. The Cockscomb is the highest peak (1768m above sea level) in the Groot Winterhoek mountain range and got its name from all its little peaks that look like a rooster's comb. 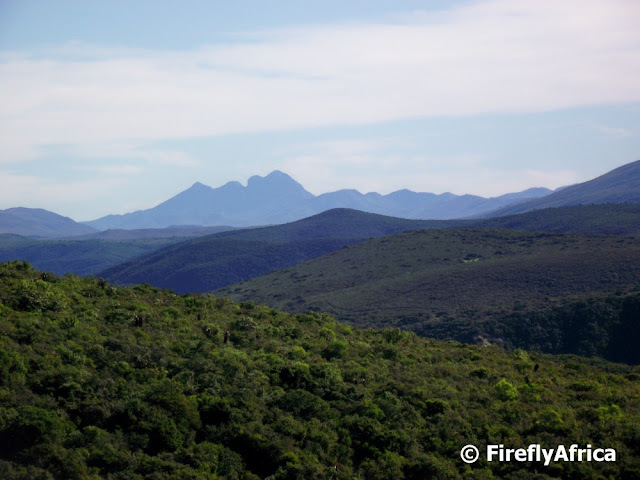 The original KhoiSan people of the area called the mountain Naniqua, meaning “mountain in the mist”. The Cockscomb is visible just about all around from the Kouga coastline and the Gamtoos Valley to the Addo area and the southern part of the Karoo. Although the mountain isn't visible from the city itself, I had a great view of it driving along the Rocklands road between Uitenhage and the N2. 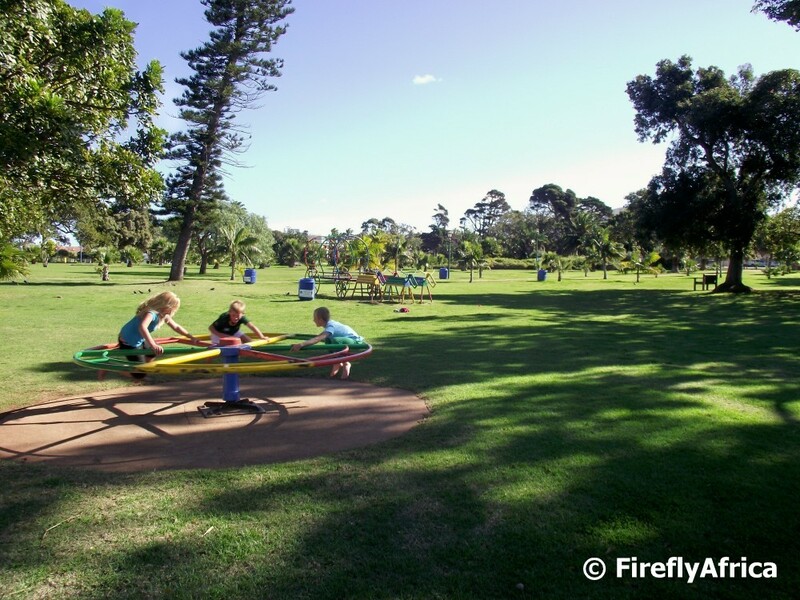 Even though its been a wet winter so far we've also had some beautifully warm and sunny winters days in between. Ideal to take the kids to play in St Georges Park. Today is 18 July and Nelson Mandela is celebrating his 94th birthday. Happy birthday Madiba! To celebrate the day and the 67 selfless years Mandela spent in the public eye, people all over the country (and the world) have been giving 67 minutes of their time to help others. Activities range from working at soup kitchens, painting township schools, helping to establish vegetable gardens, clean-up campaigns or just entertaining old folk at a retirement home. Anything that brings assistance and happiness to the less fortunate will do. In the photo Chaos Boy and Drama Princess (in the middle) help their friends JB & AB to link the Voting Line on the Donkin Reserve with the figure of Madiba. 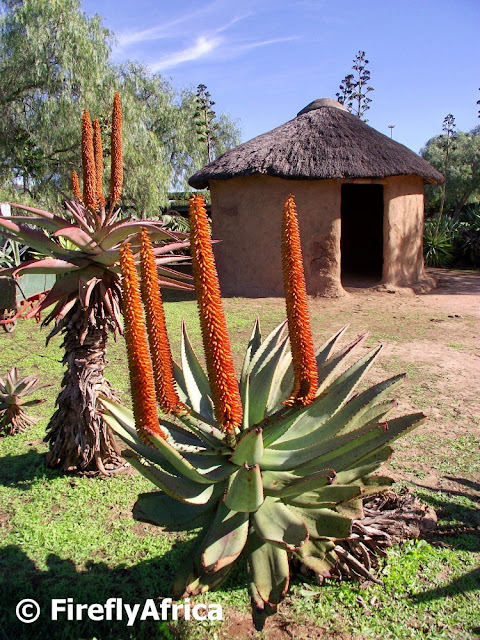 Looking at this scene with the Xhosa shepherd hut surrounded by flowering aloes one could easily think that the picture was taken somewhere in the heart of the former Transkei or the Wild Coast. In actual fact it was taken at the Cuyler Manor Museum just outside Uitenhage. A lot of people know where the Feather Market Centre is but I bet very few have seen the very impressive organ that adorns the front of the main hall. 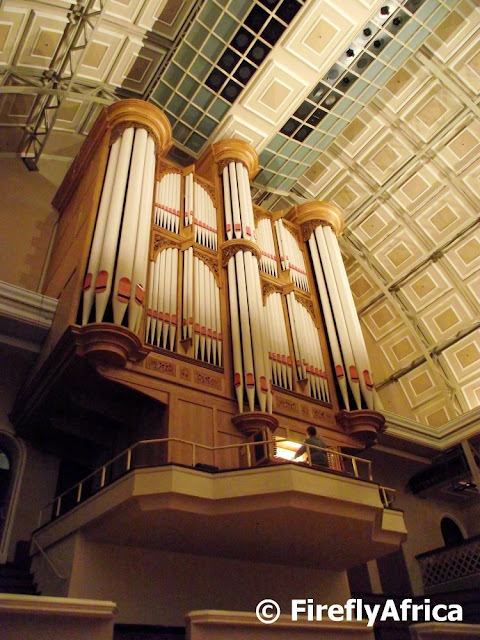 The concert hall pipe organ was inaugurated in June 1999 and cost R2,6m at the time. The organ stands 14 meters high, 10 meters wide and 4,5 meters deep, weighs 20 tons and has 5508 pipes. Pretty impressive. The organ was designed by Prof Albert Troskie, built by local organ builder Jan Pekelharing and is a combination of old and new. The nucleus of the organ consist of the old 1892 Norman & Beard organ which was situated in the adjacent Shelly Hall. The facade of this organ is still visible in the hall. In addition to this the pipes of an 1880 Forster & Andrews organ from Durban was installed along with a significant number of new stops. The rest of the organ is all new with the organ facade's decorated wood carved panels taking ten local woodcarvers two years to complete. 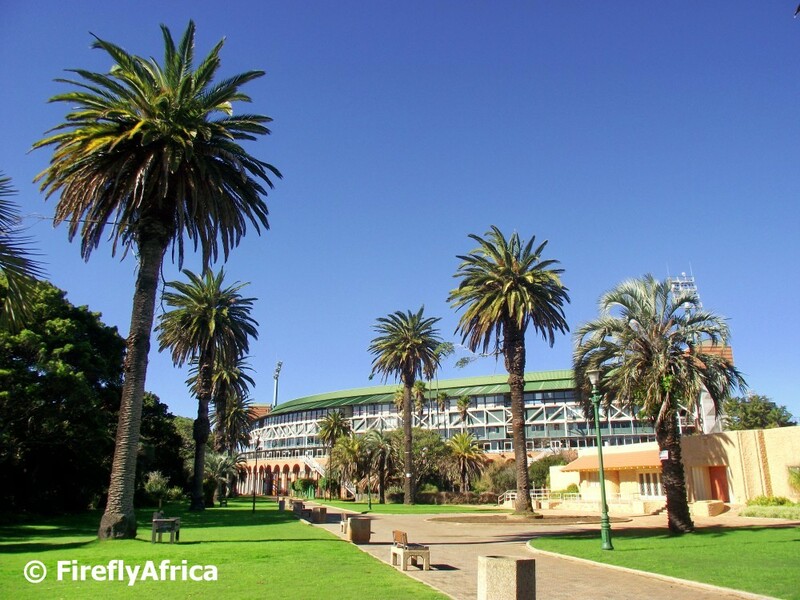 The organ gets used in at least 9 recitals every year by both South African as well as international organists. I was invited to view the organ with a couple of local tourist guides and we had the immense pleasure to have Prof Troskie play the organ for us while we were there. Truly a privilege. I chose the perfect day last week for a walk around St Georges Park. Beautiful blue skies, no wind and warm winter temperatures. Its really sad that more people don't spend a time in the park. More importantly, if more people go there during the day the bad and unwanted elements will disappear from it. With all the rain about I wasn't surprised to notice that even the Shark River in Happy Valley was flowing with a bit of force. And to think that this little stream once used to be one of early Port Elizabeth's main water supplies. The Shark River never really mouthed out into the ocean but sank away into the sand at Humewood Beach. The Dutch referred to it as “sak weg” (“sinking away”) but the English misunderstood the word and it became "shark" hence Shark River. The original house where the Grand Hotel in Central stands today was built in 1867. By 1885 the house was extended to Whites Road and the owner, Kames Brister, advertised the house as to let with 24 rooms. Shortly after on 15 October 1885 Arnold Lipman opened the Grand Hotel. 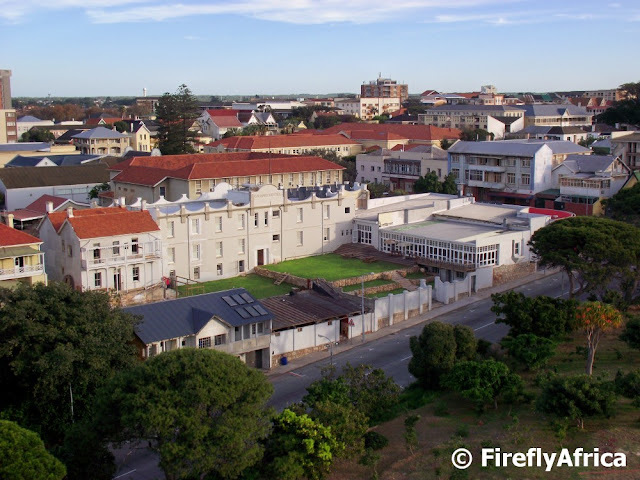 The hotel has been taken over by new owners and is currently being renovated and is in the process to be turned into the first "green hotel" in Port Elizabeth. 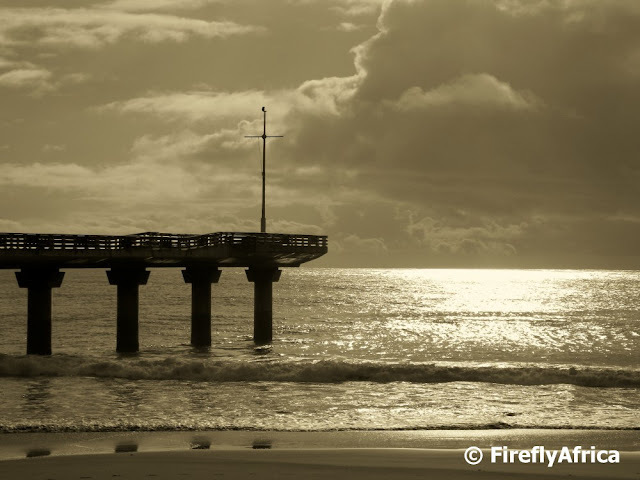 There's some cold and wet weather heading our way this weekend so I decided to try and warm us up with a mid morning picture of Shark Rock Pier at Hobie Beach in black and white. 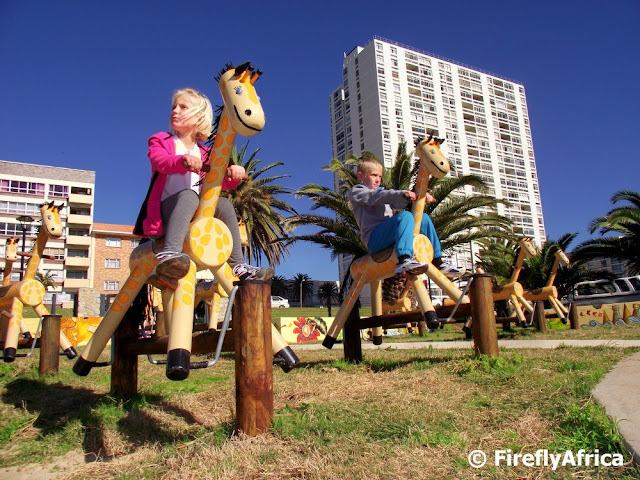 Kids will be kids and the Kidz couldn't wait to try out and ride the giraffes in the new Kings Beach development's play area. One of the big projects which formed part of the Route 67 development was the opening up of Strand Street just below Market Square (and next to the bus terminus). I took the Kidz to climb the Campanile last week and walked up to visit the Public Library while we were there. 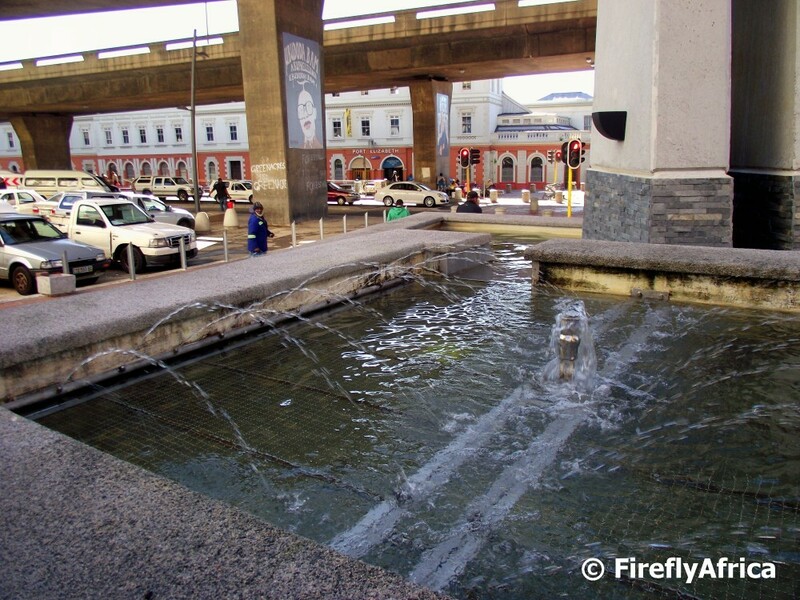 One of the new features installed next to Strand Street just before you climb the steps up to Market Square is a fountain. 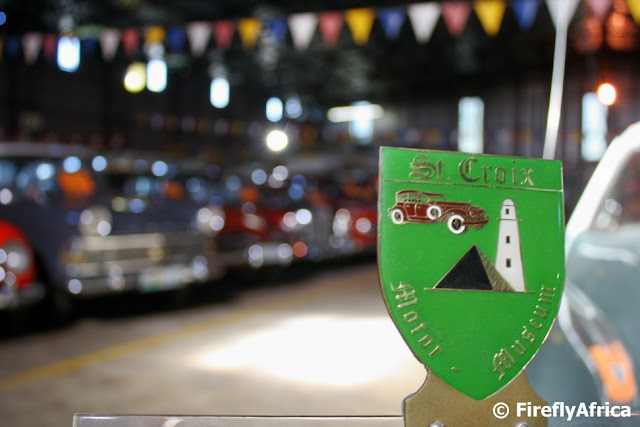 As the picture in yesterday's post on the St Croix Motor Museum was more about the badge than the cars in the background, I thought I'll follow it up with a picture of some of the oldest cars in the collection. If you are into cars you will absolutely love this museum. I'm not one of those kind of guys that go all gaga when I see a old or sporty car, but I really enjoyed it. It does have a certain "ooohhhhh" factor having so many classics under one roof. One of Port Elizabeth's most fascinating and probably lesser visited museums is the St Croix Motor Museum. The museum belongs to Eben de Vos and consist of over 50 vintage cars. I was asked the other day if I have ever been there and I was embarrassed to say that I have never been, so this lead to an invitation and a very eye opening visit. 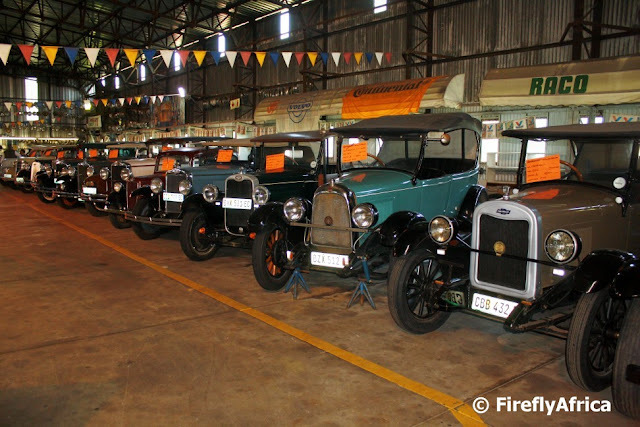 The cars in this private collection of vintage and classic cars date back to 1901 and car lovers would be amazed at what they would find in there. There is an Afrikaans song that says that if you get tired of life in the city you have to go for a walk in the countryside. 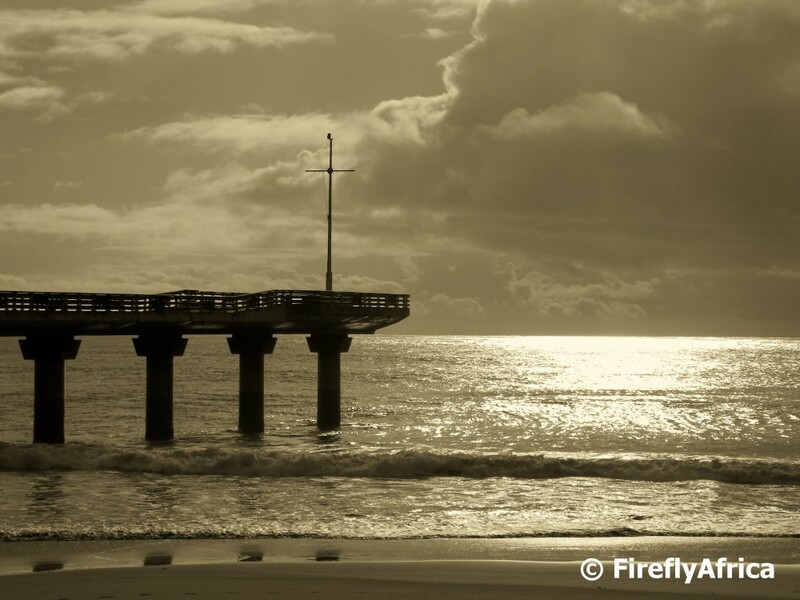 In Port Elizabeth we are very very fortunate to have a lot of countryside right on our doorstep withing the city boundaries. 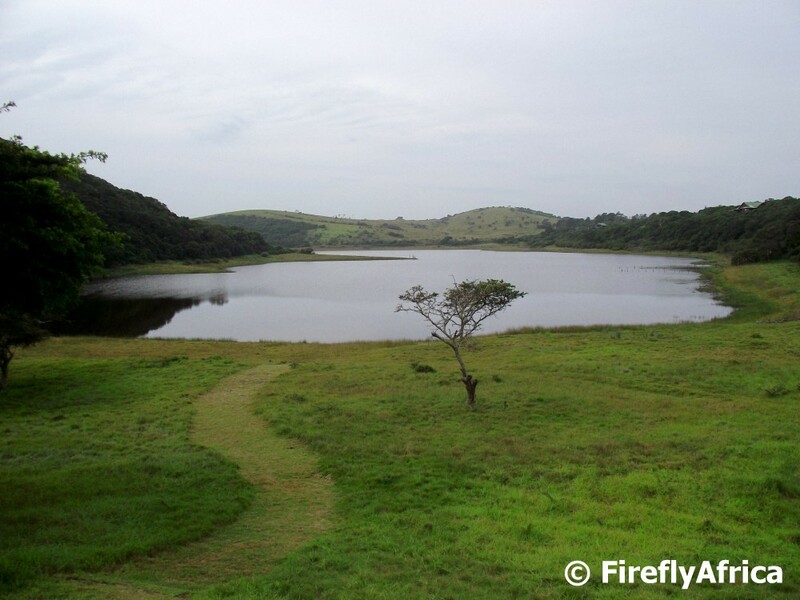 Places like the Baakens Valley, Sacramento Trail, Cape Recife, Kragga Kamma area and Maitland River Valley to mention only a few. 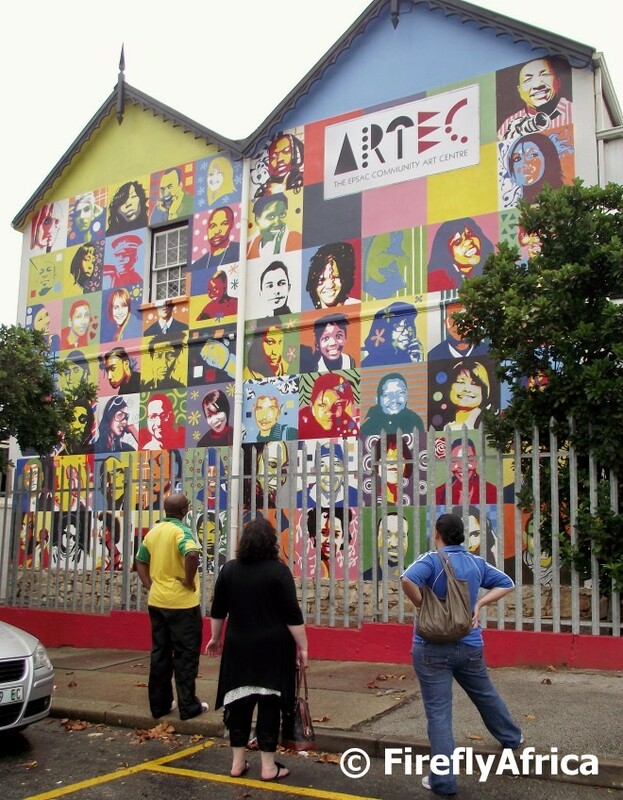 The ArtEC gallery in Central is one of those institutions that really go out of their way to support local artists and they have a new exhibition just about every two weeks. The mural of locals that has been done on the side of the building has become a bit of a landmark in the area and many visitors and passersby stop to have a look at the colourful art piece. 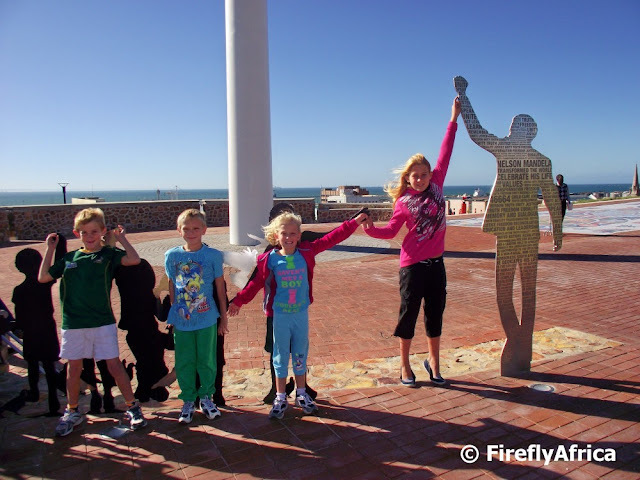 I took the Kidz and their friends on a trip around Port Elizabeth the other day to discover and explore a couple of historical attractions. It was a lovely warm winters day so I decided to make St Georges Park one of our stops with a quick look at the Pearson Conservatory before spending some time on the play equipment. 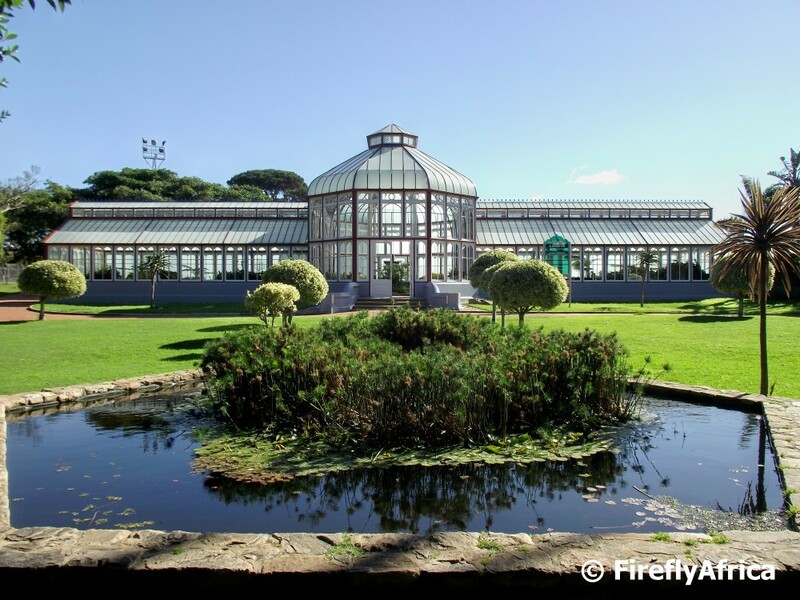 The Conservatory (originally opened in 1886) reopened last year after extensive renovations and I still can't get over how stunning it looks. Definitively worth a visit. 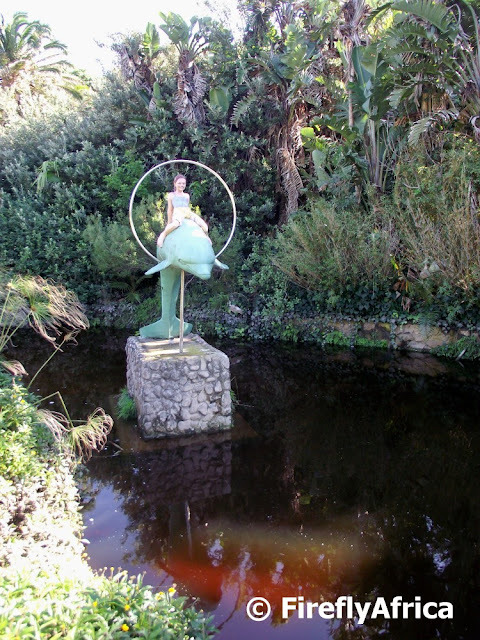 The little girl riding the hoop jumping dolphin is probably the best known Happy Valley character seeing that it can be found in the pond right next to the big grassy area on the way to the beach. Most people would think of Happy Valley as a place to go to in the evenings during summer when all the colourful lights are on, but I have found that it can be just as rewarding during the day when you can see lots of birds in the trees along the walkway and stream. 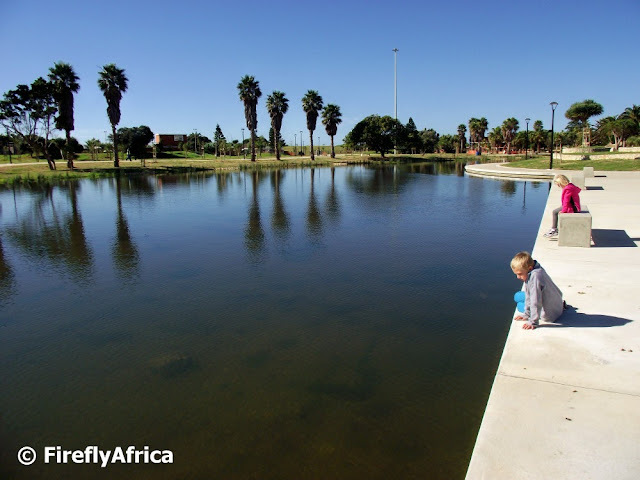 The Lake Farm lake on Lake Side Road in the Kragga Kamma area west of the city is the biggest fresh water lake in Port Elizabeth. The lake is quite a popular fishing spot but to get access you need to belong to a club which will organise you permission to go in. Lake de la Vie wedding venue and Royalson Game Reserve is situated to the west of the lake, basically behind my back as I took this picture. 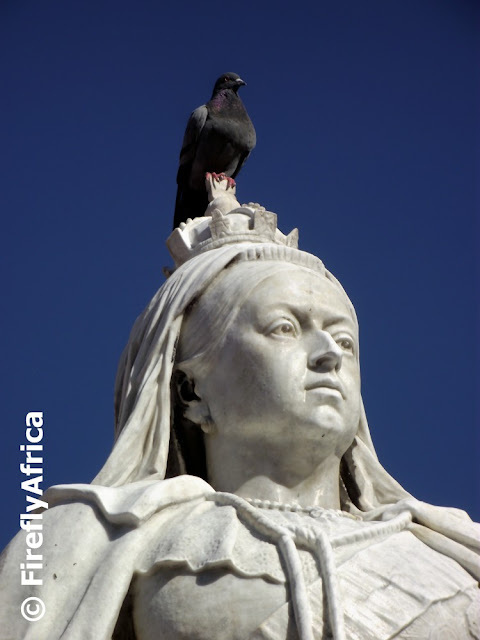 "There is a pigeon sitting on my head. I am not amused!" Taking a walk around the new Kings Beach development I have to say that I'm quite impressed with the new lake water feature which is the centrepiece of the whole development. 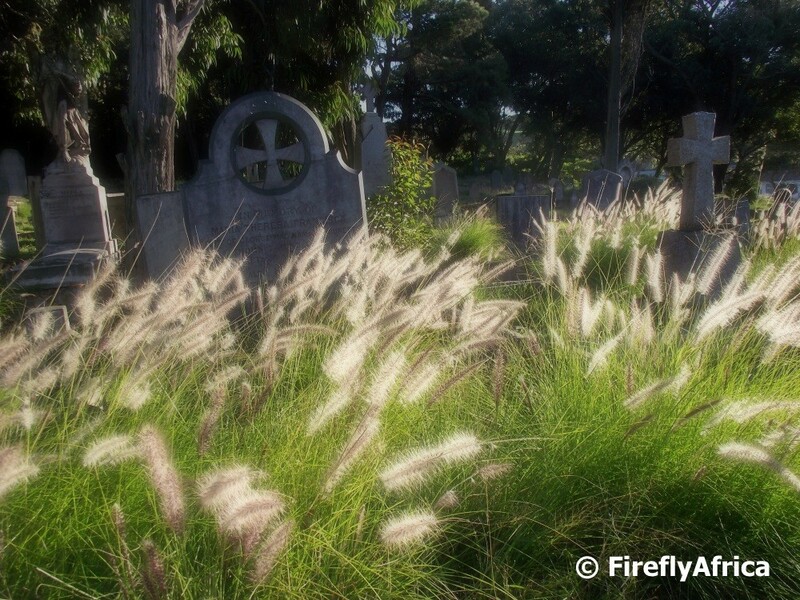 It could become quite a popular spot for walks or to just sit and relax next to.